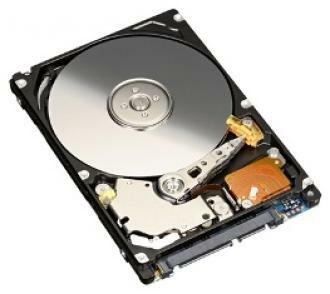 The latest generation 15K RPM 2.5 inch (SFF) Enterprise Hard Disk Drives (MBE series) now offers standard support for the 6Gb/sec SAS-2 (Serial Attached SCSI) interface combined with perpendicular magnetic recording (PMR) technology to provide higher data rates and storage capabilities of 73 and 147GB. With a commitment to ecologically sound products through the Green Policy, a best-in-class power consumption of 4.1W (idle) combined with Halogen-free manufacturing process and compliance to RoHS directives, the MBE2xxxRC is environmentally friendly throughout it's lifecycle. With up to 68% power saving over 3.5" 15,000 rpm drives, it is no wonder that the 2.5" Enterprise Hdd design is an obvious choice when it comes to environmental and performance considerations, with integration, scalability, reliability, heat and space advantages ticking all those important boxes. Leveraged from high maturity technology from it's proven 3.5-inch big brother, and previous generation 2.5-inch MBC series, the MBE continues to lead the way in HDD design. Ideal for storage applications which are typically I/O intensive, where 24/7/365 availability is a must and data integrity is everything. An obvious choice for Server or high-capacity storage systems......The future is 2.5-inch!